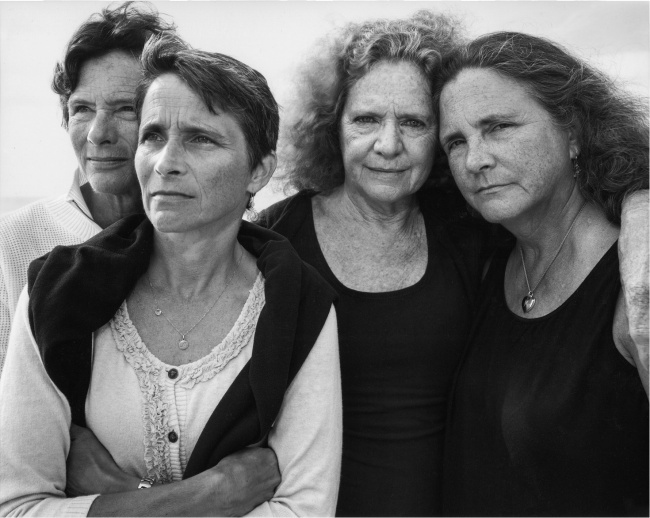 For 40 years, these 4 sisters took pictures of each other in almost the same way and the long-term result is incredible. Sisters share a very special bond. Being a sister is part of a wonderful experience. 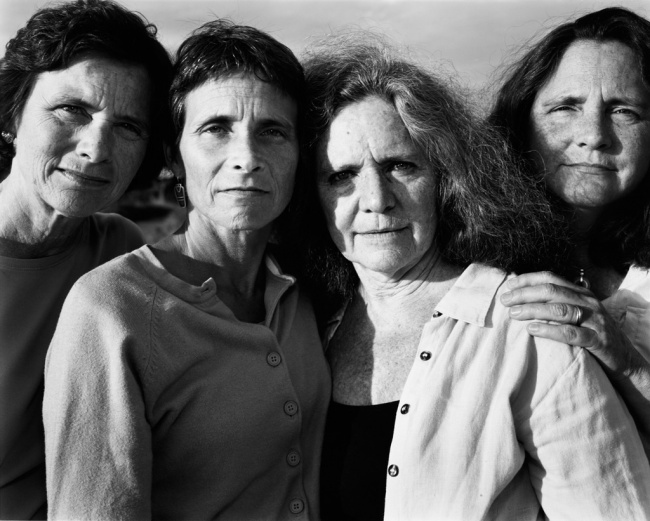 These four sisters decided to document their experiences in a special series of photographs taken over 40 years. 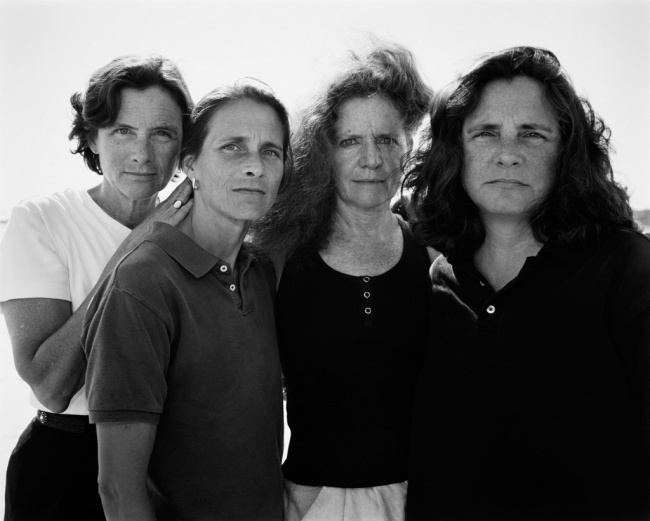 It all began in the summer of 1975 when Nicholas Nixon visited his wife’s family. He wondered if the sisters would agree to pose for pictures. 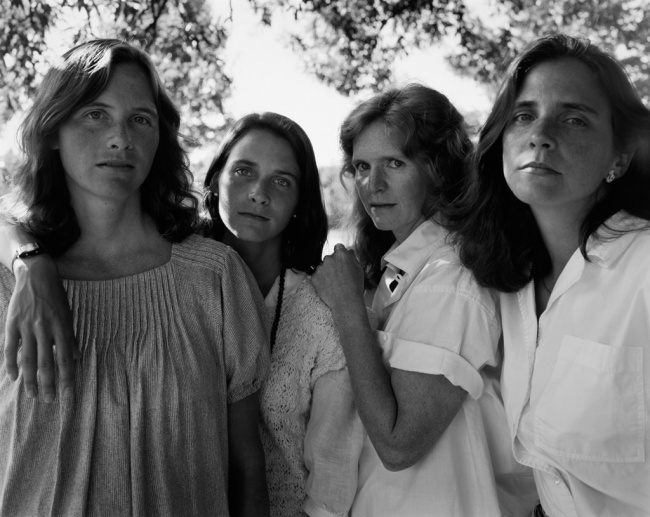 Heather, Mimi, Laurie and Bebe were lined up in a certain order at the time. They kept the same order for all the following photos. 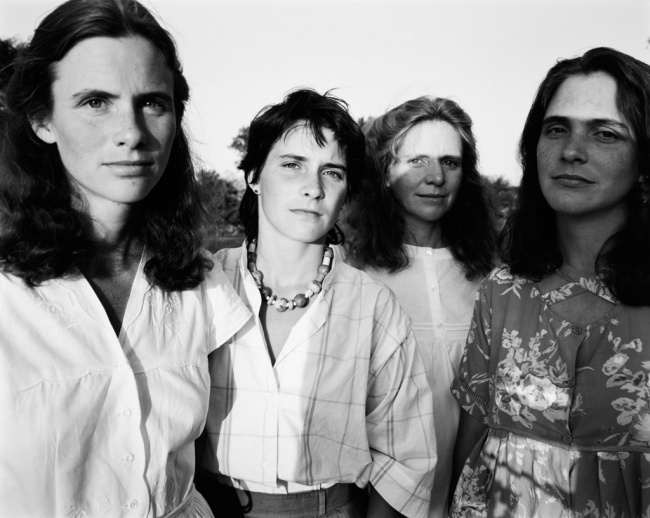 Here, the sisters wear dresses and offer a relaxed pose to the camera. Young women look to the future with great hope. Each of them is relaxed and incredibly confident under the summer sun. 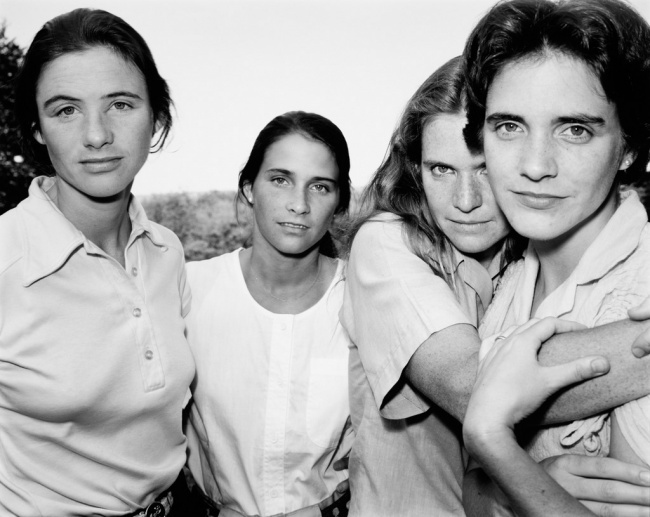 A year later, the sisters looked at the camera more closely. No longer wearing dresses, they still radiate an aura of confidence, but they clearly have more on their minds than they all had just a year ago. 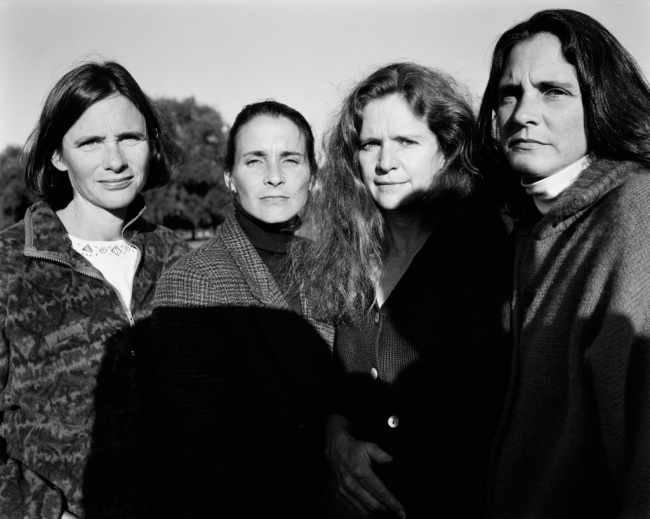 The sisters seem even less happy in this picture. This shot, unlike the previous one, brings the viewer a little closer to their faces. We can see the young women here today reflecting closely on the challenges they face as they move into the adult world and begin to carry the burden of moving away from each other. 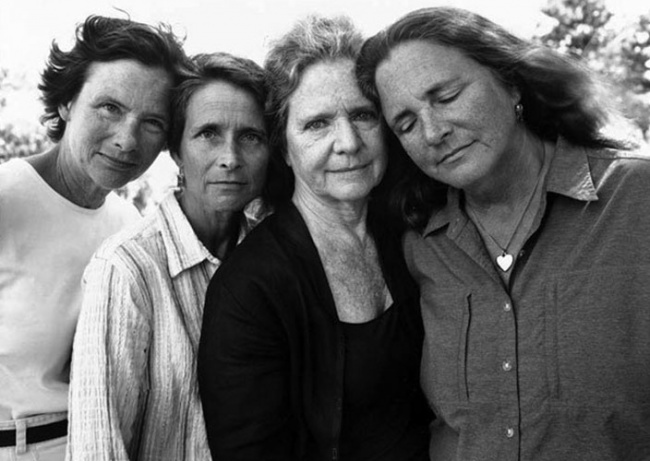 All the sisters are frowning and we don’t yet know why. 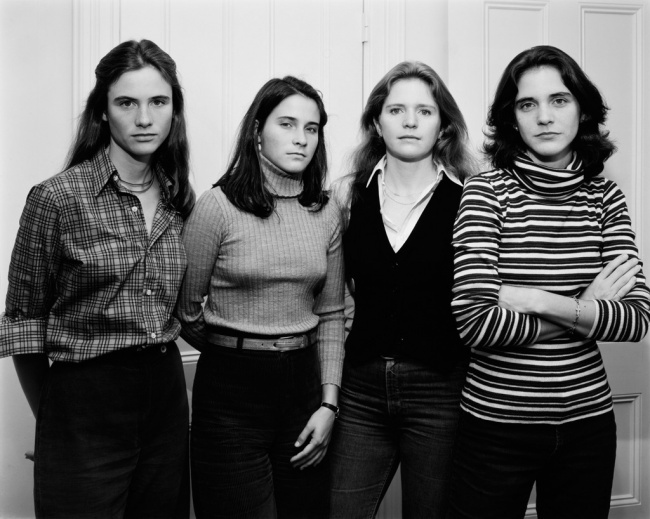 Each sister began to establish her own personal style. One sister chooses a more formal dress while another chooses pants. One of them holds her arms close to her body while another takes a more relaxed and calm pose. The viewer wonders what they are thinking. The love of the sisters is evident in this reflective photo. 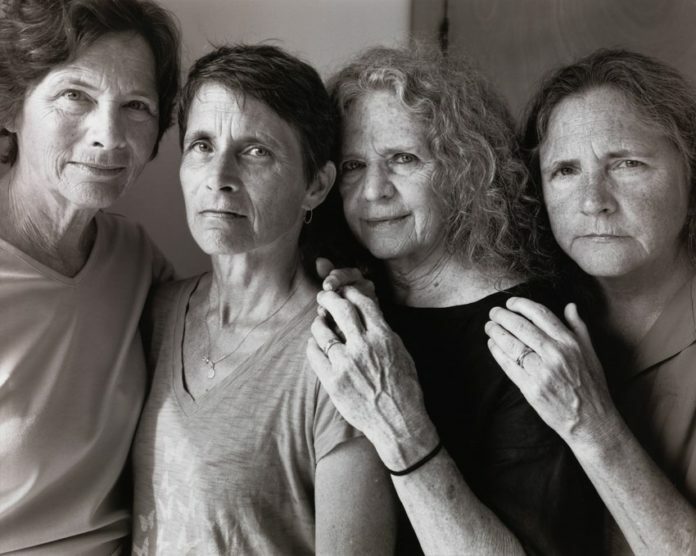 The four young women kiss, perhaps to show the world that they are still close even as they get older. The solemn faces of previous years have given way to shy smiles and the feeling that the world is waiting for them. It is summer again and the sisters show their healthy bodies and thin legs. Caught in the light, they look confident, knowing that they present a pretty image to the world. However, there is still a certain mistrust in their eyes as they lean back just a little to get away from the camera. By moving to colder climates, the sisters still show a certain self-confidence. Here, they are all wrapped up, letting the wind sweep their world away as they watch them pose another year for another photo. It is no secret that for them, smiling is a challenge, but you will understand why in the end. 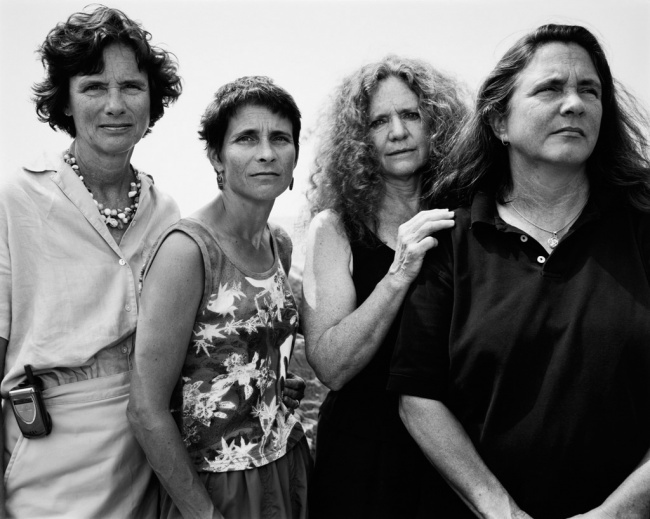 Coordinating their gaze, the sisters present a united front to the world. They seem to cling to each other in the middle of the field, letting the sun hit their faces and the wind whips them. 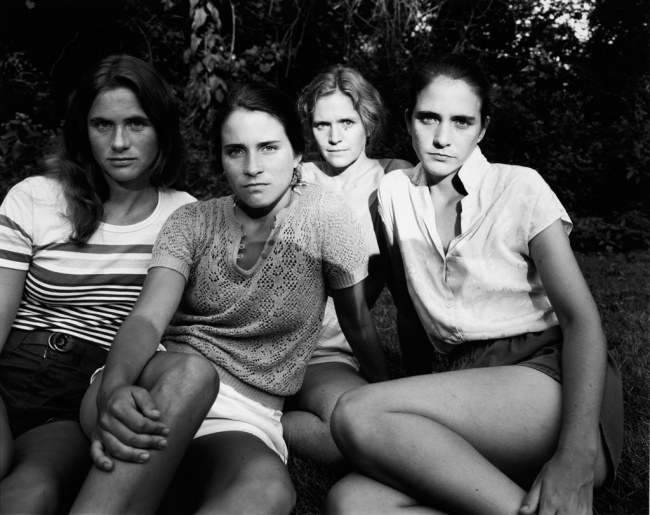 Each sister shows a suspicion of something that is clearly reflected on all their faces. 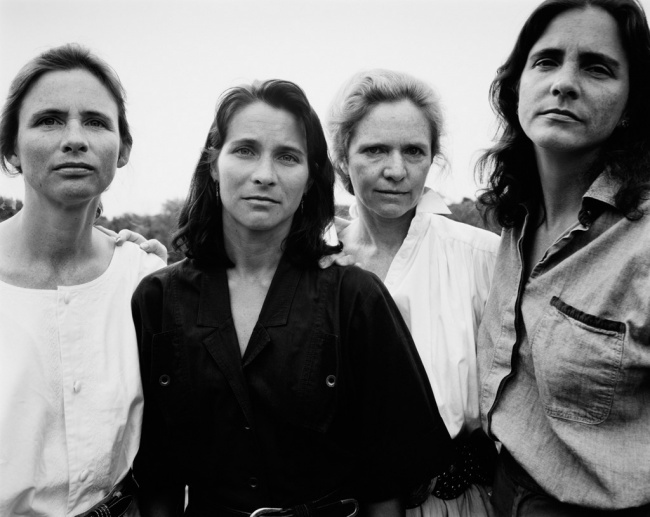 Once again, the sisters let us look at their faces by noting the similar clothing choices they make and how each seems to bring something totally different to the camera, making each image different and yet like a new idea. Although they are not smiling, you can see that their bond is strong. 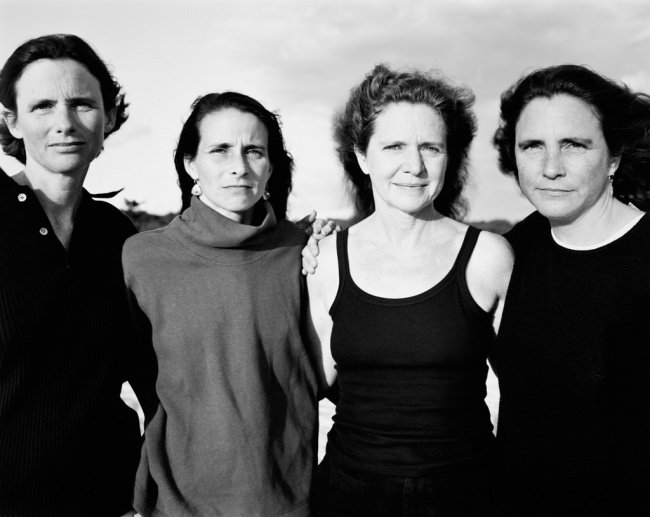 More than a decade has passed since the project began and the sisters are still as familiar and mysterious as ever. The viewer has the impression that each sister was able to talk about her plans for this year’s photo to her sisters before they decided to pose. The mystery becomes clear over the years. Time is clearly wreaking havoc on the sisters and yet, it is obvious that the fierce determination is still there. 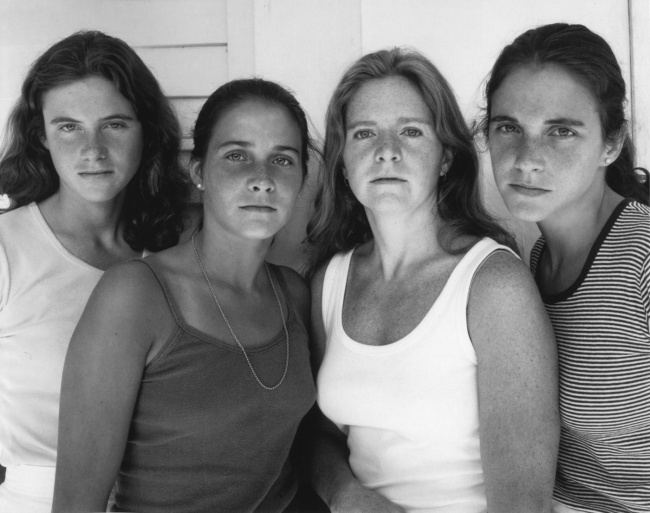 Each sister looks at the camera with great determination and a sense of challenge, making us think about the thoughts behind their sweet faces. 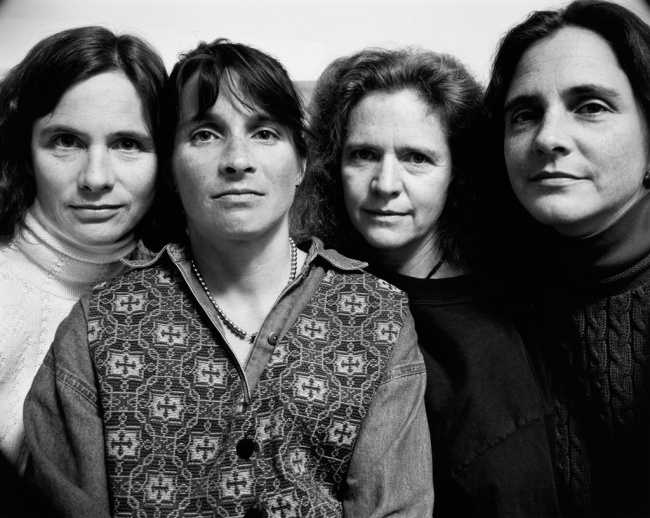 The four sisters have a subtle smile on their faces. They look at the camera with a slow smile that unfolds in front of us. We think something good has happened or maybe it’s just a beautiful day and they want to enjoy it. You’ll never guess what’s behind those subtle smiles. One sister seems to change her pose slightly, moving behind another by forcing us to look for her in the photo. The sweet smiles have been put aside this time. We can almost certainly assume that this year has been a difficult year for them. Two of the sisters seem to have a close relationship while another seems slightly withdrawn, remaining slightly isolated from the others. We see her and think she may have chosen to consider a different life for herself, perhaps by moving to another city or even another state. 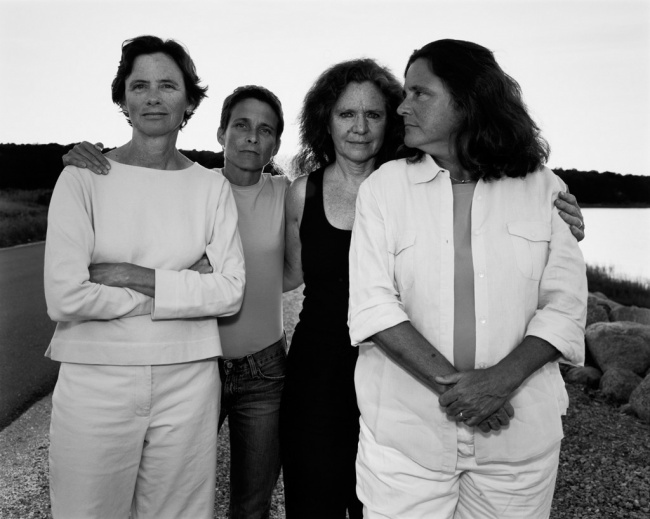 The sisters keep a certain distance from each other in this revealing photograph. 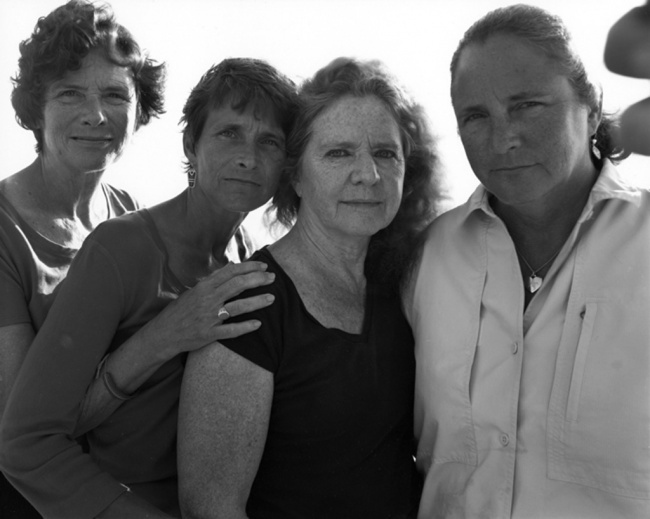 If you wonder why it is so difficult for these sisters to smile, you are not alone. 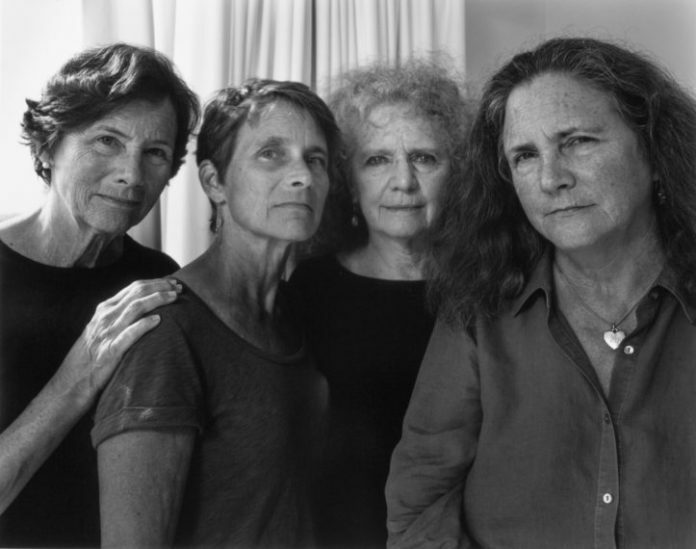 Do they inevitably find their bonds fading over time and collapsing as age and distance catch up with them? All the sisters are taking different poses this year. They show that no matter what happens in a family, it is always important to get together for a photo, at least once a year. 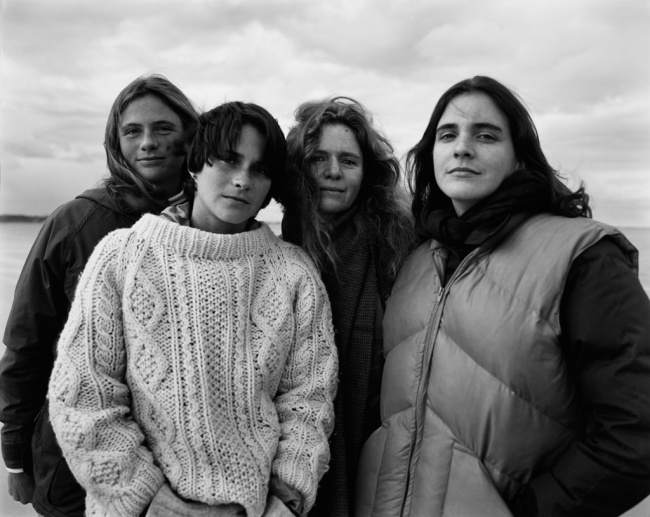 Nixon does not tell us where this photo was taken, which leads us to believe that they are probably somewhere in New England. Will smiles appear as the years go by? Unlike the other photographs, this one was taken by the sisters themselves. Here, they are closer to the camera than ever before, more visible than ever before. It is not clear whether Nixon and his wife were going through a difficult time at the time or whether he simply could not be present for this year’s photo. The sisters are leaning towards the camera now, hugging each other tighter than ever, perhaps determined to spend more time together and make the most of the time they spend with each other when they are not together. They look happier than they ever were in this picture, but wait until you see them in 2010. All the sisters have different expressions on their faces when they look at the camera. One seems happy while the other is obviously not so happy. No matter what happens in their lives, they are always dedicated to this annual tradition. Old age is clearly engraved on each sister’s face, as they seem to have the challenges of life before them. 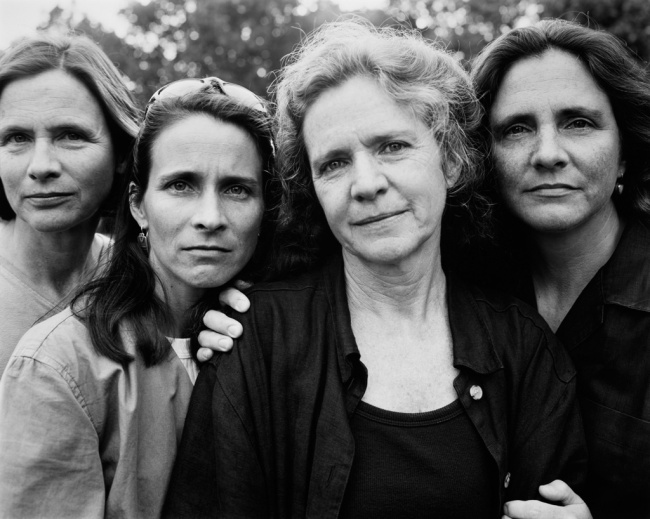 Three of the four sisters clearly show that there is more to the story than what the pictures show. Wearing dark colours of grey and black is a sure sign of mystery. 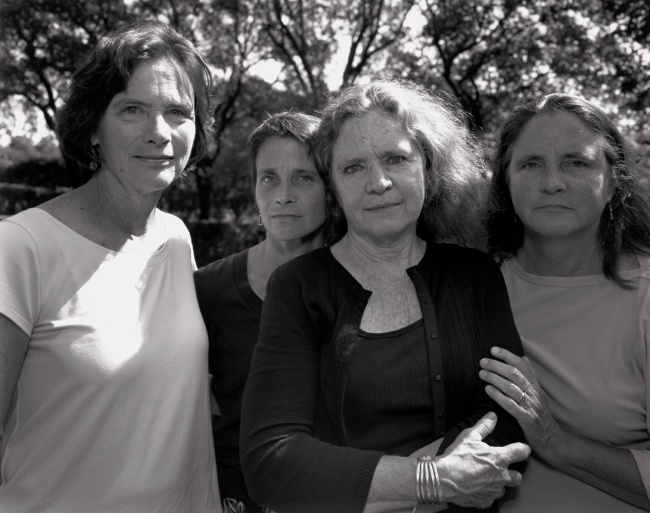 What has put these sisters in a dark mood has been a mystery since 1975. As they grow older, their story makes sense. 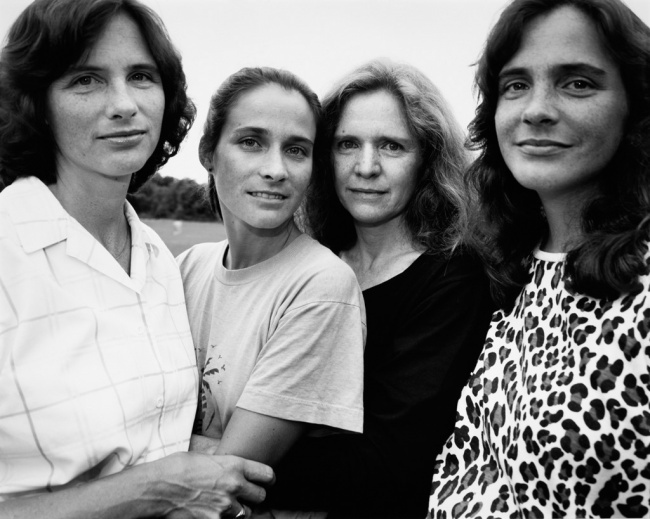 The sisters gather slightly towards the camera so that we can take a closer look. 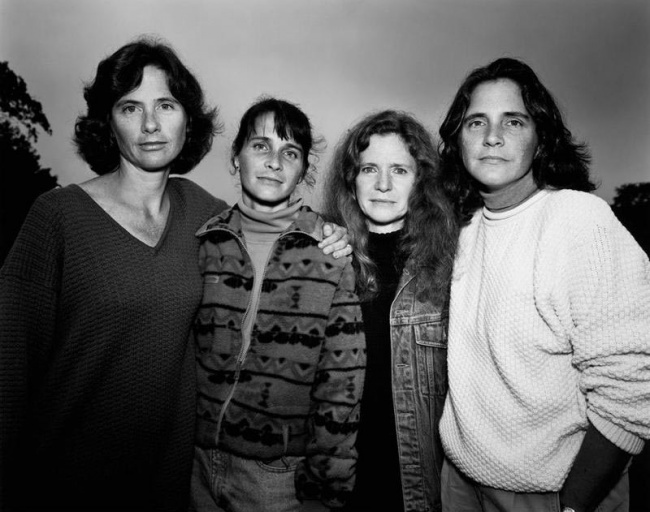 It is clear that 1999 was one of the most difficult years for these warrior sisters. But no matter how hard the year is, they remain determined and dedicated to keeping their sorority strong with a new annual photo. 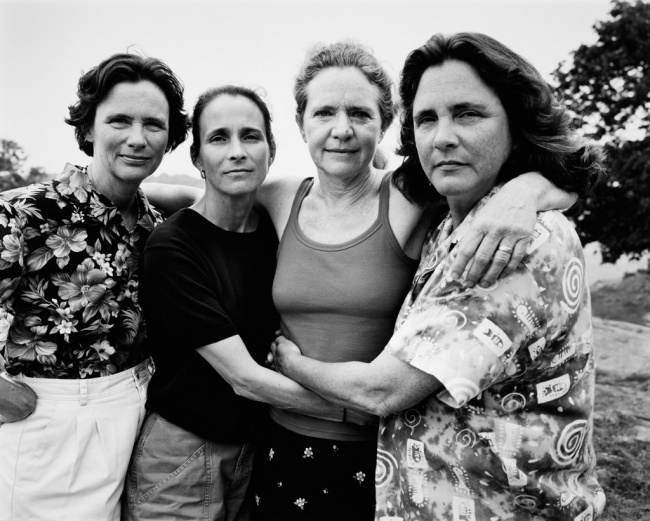 Today more than ever, the sisters cling to each other, obviously united against the world and happy to continue to maintain the bonds that their sisterhood places on them. They want us to think that they are part of this project, but also to remember that each of them leads different lives the rest of the year. The sisters do not tell us where they are in this picture, but their poses lead us to believe that it is a happier place where they can have some time to relax. Even in a relaxed environment, however, making them smile is always a challenge. 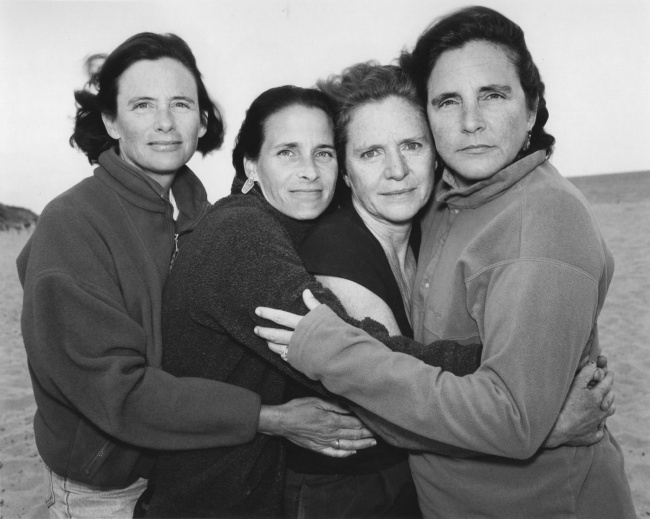 Have you noticed that they all hug the same sister in many photos? It is clear that she has their love and that she has earned their respect. 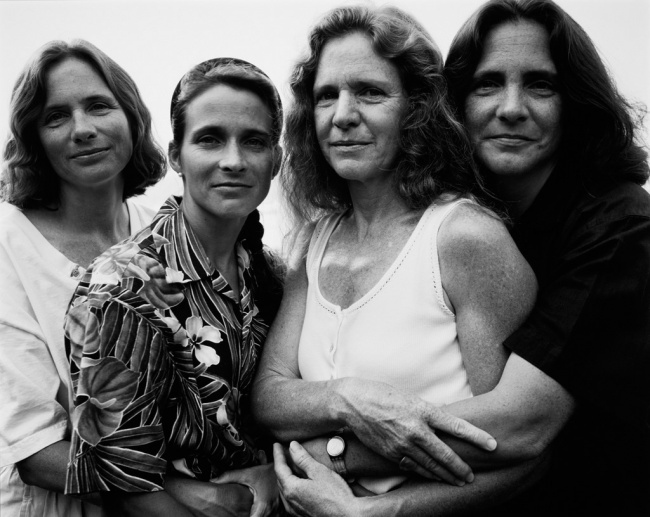 The four sisters seem to be immersed in thought and fear. We have to think about how their lives must have gone since they were young and we have to settle for a simple picture as a clue. This is one of the joys of the project for the viewer. We are allowed to enter their lives without getting to know them. Technology has reached them. One of them even has a mobile phone. 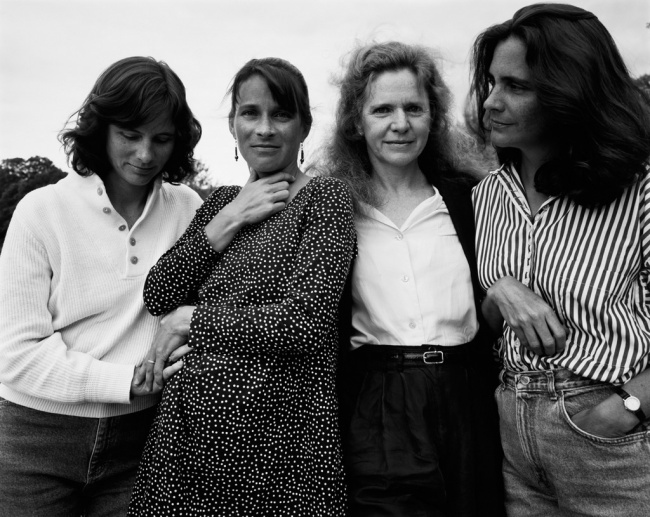 Two others stand on their sides, wearing very casual clothes and clearly explaining to the viewer that they are less concerned about appearance than ever before. 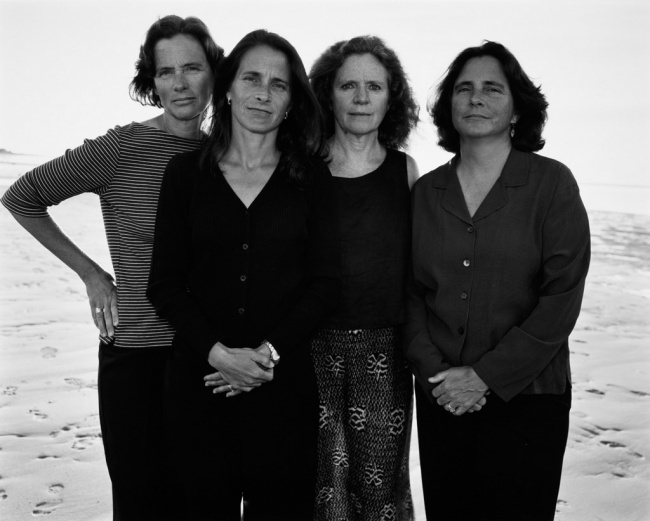 Each sister allows herself to avoid similar looks, to decide her own path for this image and to let us see them as completely different people. A sister stands proudly in front of the camera. Another looks away and does not give us a chance to see her complete profile. One wonders why each of them poses as she did and why two sisters can be so different from the others. Confident, Bebe drops her hair while the others give us a more neat look. Once again, one sister looks to the side while the others show shy smiles. It is a family that is determined to stay close, no matter where it is or what it is going through. 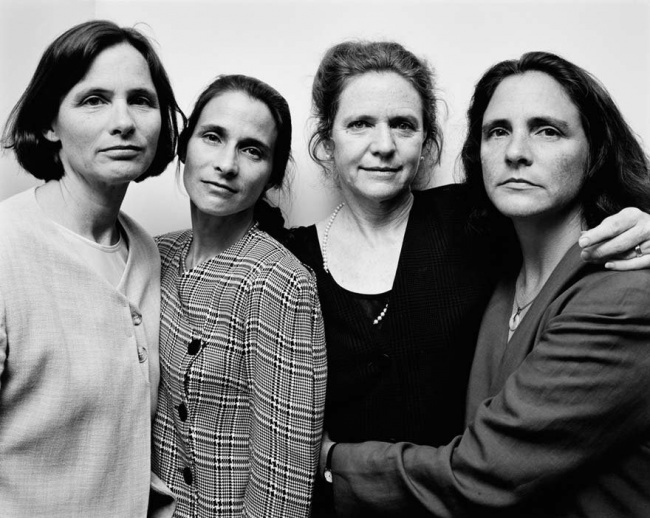 Wrinkles clearly visible on the faces of the four sisters, they always invite the spectator and the camera into their lives. We assume they were grandmothers at the time. Each sister seems lost in thought as she shows us another side of her personality. One hides almost while another moves towards the center of the image. We still have to imagine their different personalities while they are still sisters in blood and love. Bebe is Nixon’s wife and clearly the driving force behind the project. She wants the spectator to participate in her world and in the world she fully shares with her sisters who meet at her request each year. She and Nixon seem to have a strong and long-standing marriage, as they have been coordinating these photos for decades. Perhaps happy that the project continued with each sister who still participates, a sister closes her eyes as if she felt that her work had been done. 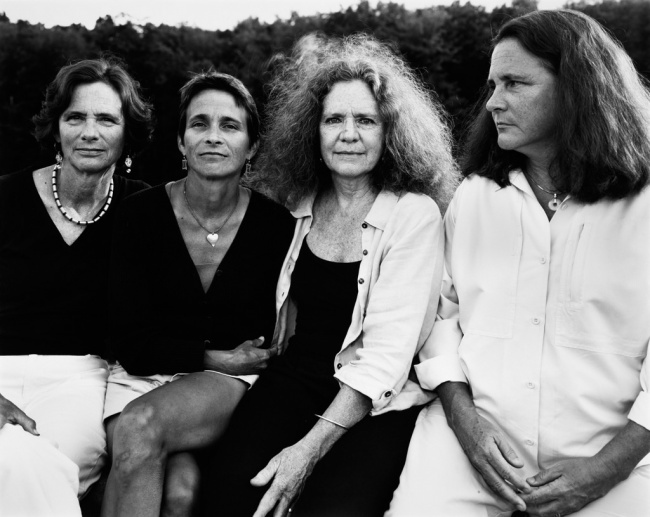 The other sisters lean towards the camera as if they were more determined to make sure they would be part of this now world-renowned series. 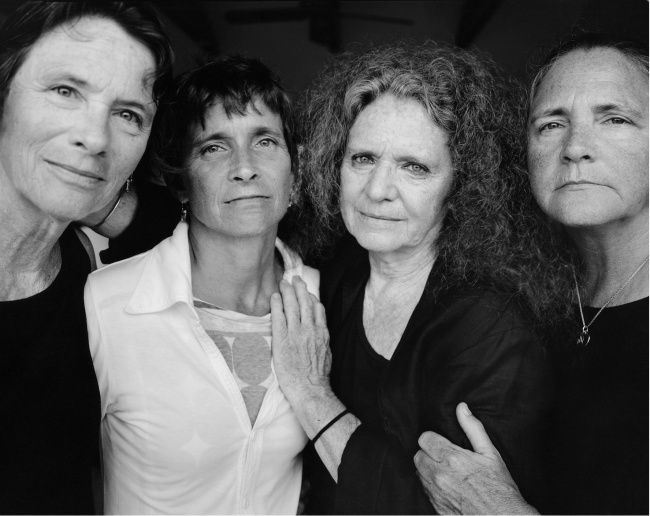 The four sisters have obviously aged and yet the camera still looks at them with love. 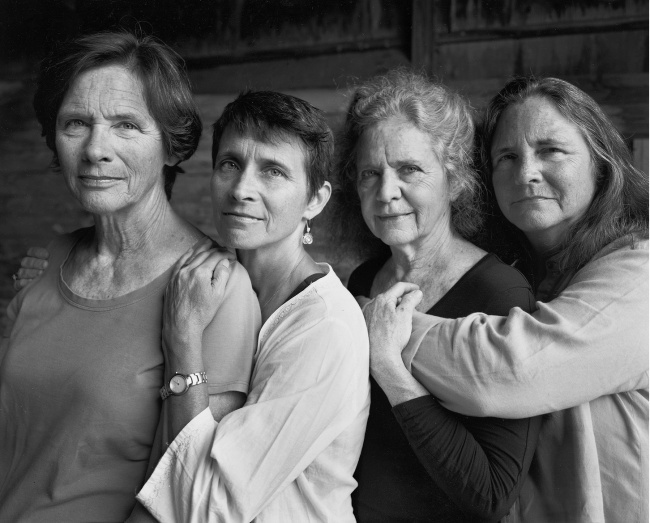 Their aged faces are more beautiful than ever and perfectly illustrate the glory of all women, even in this black and white photo. The bond they share springs from the image every time we see them. 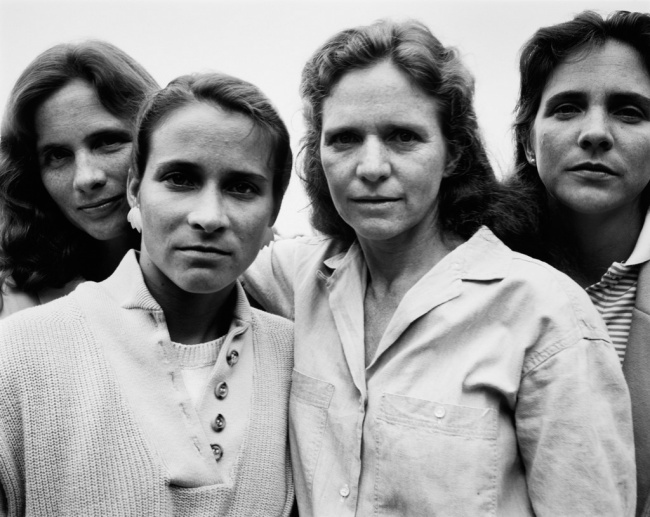 One of the most emblematic photographic series of the 20th and 21st centuries, Nicholas Nixon’s The Brown Sisters, opens on April 1st at Sotheby’s, New York. The Brown Sisters complete sets are extremely rare and have only been auctioned off twice before. The Museum of Modern Art in New York recently organized an exhibition of all his works in the museum’s lobby, which has been acclaimed by critics and the public. Other highlights of the auction include Lee Friedlander’s iconic The Little Screens, featured in a selection of 38 photographs. 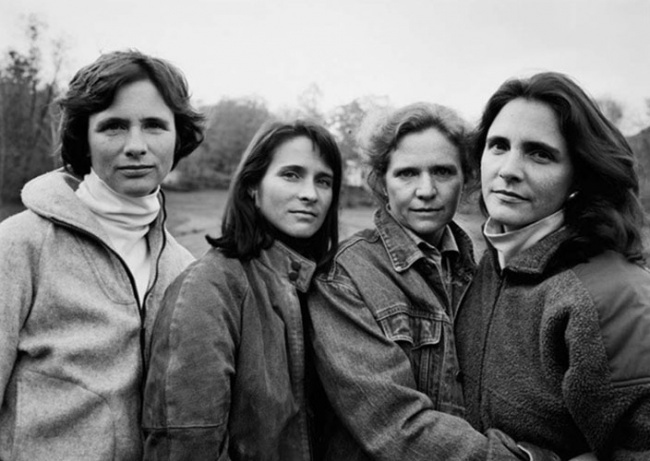 Nicholas Nixon took the first portrait of his then 25-year-old wife Bebe with her sisters Heather, Laurie and Mimi in 1975, and has since recreated a version of the portrait every year. 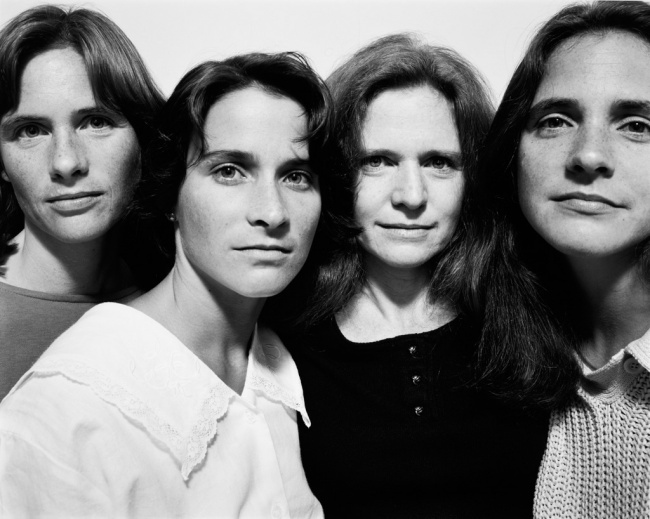 The captivating work of conceptual art has continued to document the evolution of the four sisters over the years. 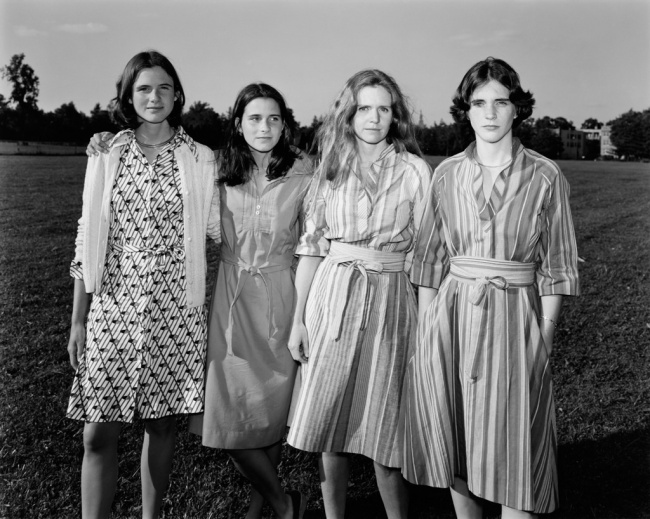 During the series, the sisters were captured against a backdrop of historical moments in American culture, including photos taken in Woodstock. There are about fifteen institutions and nearly ten private collectors who have complete series of prints and continue to acquire new ones each year when they are released. This collection of works comes directly from the collection of one of the most important art collectors on the West Coast, Mary Robinson, who, with her late husband David, donated a large collection of 150 early photographs to the National Gallery of Canada. 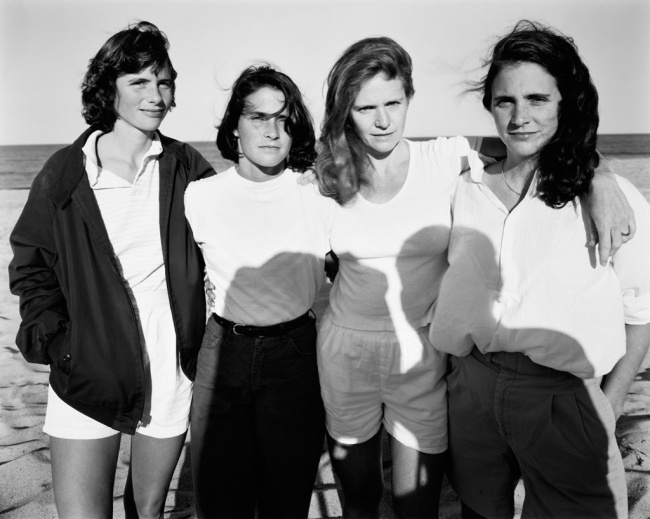 The set of 40 photographs here is offered in a single batch and is estimated at $200/300,000. 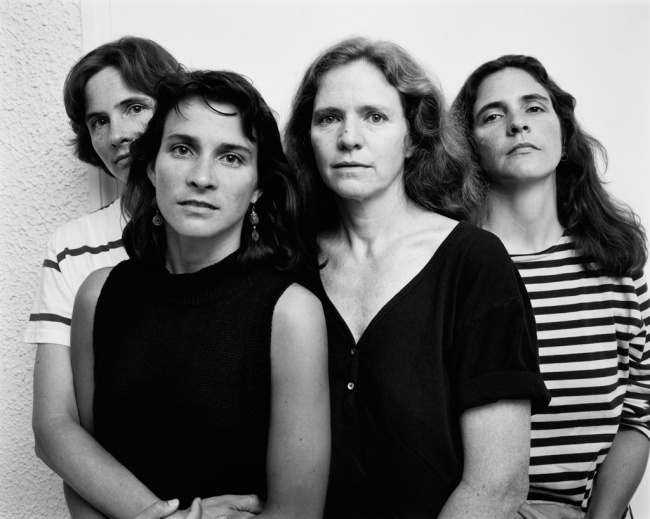 As we look forward to Nicholas Nixon’s next exhibition at the Fraenkel Gallery, we are pleased to share the latest photograph of his famous series, The Brown Sisters. 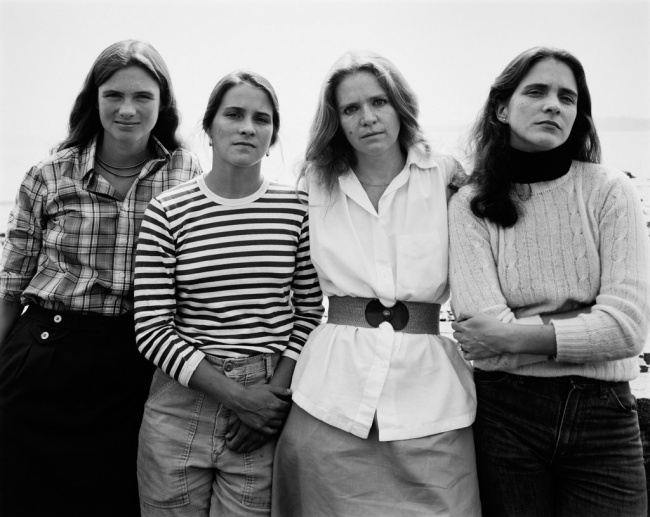 Nixon began portraying his wife and sisters in 1975, and this is the 41st annual photograph. 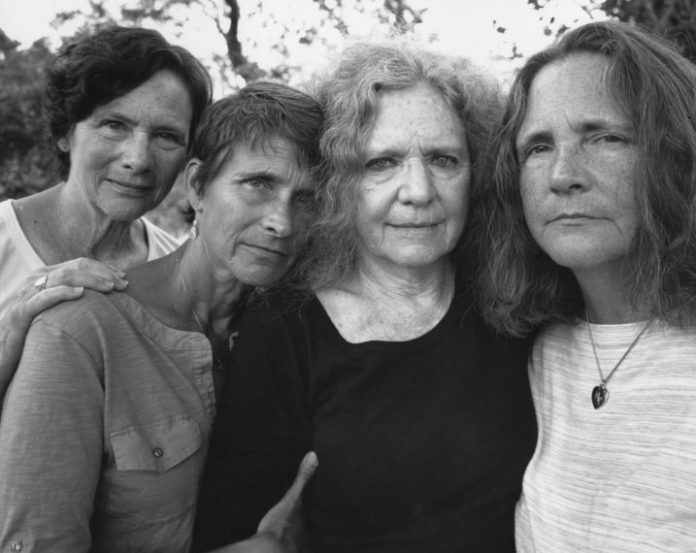 In 2016, for their 42nd photo, the sisters seemed ready for this moment. 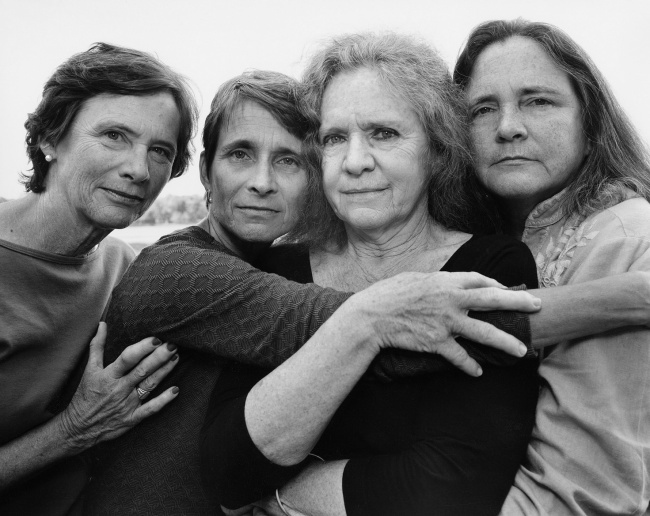 At the time of the last photo, the sisters were 58, 64, 66 and 68 years old… and were still close.